Natural Star Nani playing main lead role in the upcoming Telugu film titled Jersey and makers have now announced official release date of this sports based love entertainer. 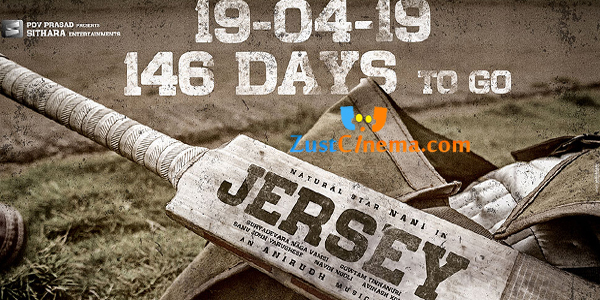 Jersey is all set to hit the silver screens on April 19, 2019. As of the sources, Jersey film revolves around Cricket and how a man struggles to win a match. Right hectic talkie portion scenes are being canned in a special set erected in Hyderabad. Shraddha Srinath is the lead heroine in the movie. Satya Raj, Ronit Kamra and Brahmaji are playing prominent roles in Jersey film which has musical scores by Anirudh Ravichander. Sanu Varghese is helming the camera while editing is by Navin Noolu. Gowtham Tinnanuri is debuting as director with this next year release film.